Well, the Orioles last night, in their 161st game lost to the Boston Red Sox, 8-7, in a close game that has a ton of intrigue and drama surrounding it. We all know that the Red Sox have tanked and are tied with the Rays for the Wild Card spot in the American League East with a game to play. Red Sox closer Jonathan Papelbon got the save in a crazy ninth inning where the Orioles plated in a run off a Matt Wieters’ infield single; however, Baltimore could not do much more as Adam Jones grounded out with a runner on base to finish up the game. Although the stadium looked half-empty on TV, it sounded like a playoff game at Camden Yards and it was good to see Oriole fans standing up and rooting for their team in the final inning. Of course, Red Sox fans were there too, but being at the game Monday night, it too seemed that Oriole fans had a vested interest in the final home series of the year. Although my interest in the Orioles in the last few games of the season is there, I’m more intrigued to see how the Red Sox finish up and wonder if they finish their epic collapse, or squeak into the playoffs. I do like how the Orioles are fighting, playing better and refusing to fold. Zach Britton finished out his year with an 11-11 and only getting through 4 1/3 innings on Tuesday night. Brittton was mediocre on the night, but all things considered, you can count this year as a moderate success for him despite all the ups and downs. The Red Sox got clutch homers from Jacoby Ellsbury, Marco Scutaro and rookie Ryan Lavarnway - who had unexpectedly stepped in to catch because of injuries to Jarrod Saltalamacchia and Jason Varitek - who hit two homers. For the Orioles, Monday night’s game was their 160th of 2011. While the contest may have not had much impact on their place in the standings, it may have meant more than that for Baltimore. With only two games left in the season, fans at Camden Yards may have seen more good than bad with the Black and Orange. The good news is that they no doubt came to play against their rival – the Red Sox, who are now seriously hanging for dear life in the playoff hunt. The Orioles had a chance to play spoiler – for the second time in as many weeks – against the Red Sox. Instead of trolling out a lineup full of Triple-A and Four-A guys, the Orioles pretty much had all their regulars in the lineup and defeated the Red Sox, 6-3. They put the game away in the sixth inning as Robert Andino had a three-run inside the park homer that Red Sox center fielder Jacoby Ellsbury dropped after an amazing, improbable over-the-back catch. Andino’s inside-the-park was the first by an Oriole since 2010, and the first ever at Camden Yards. They jumped on Red Sox starting pitcher Josh Beckett – who had been doing fairly well up to that point – and made him pay. Could that moment serve as the epitaph of the Red Sox season? With the Tampa Bay victory tonight, all bets are off now as both teams are tied in the American League Wild Card hunt. What a game by the Orioles. They have sure added a ton of drama in the final week in the sport of baseball. Boston had a golden chance – with the bases loaded in the eighth – to come within striking distance of Baltimore’s lead; however, reliever Pedro Strop got his team out of a jam. Of course, the Orioles added some torture to finish off the game in the ninth inning. Jim Johnson – who came in to finish up the game – hit Ellsbury to start the game, committed a balk and allowed back-to-back hits to Dustin Pedroia and David Ortiz. Ellsbury scored in the frame; however, Johnson got Adrian Gonzalez to flyout and fanned Jed Lowrie to end the contest. Once again, it was a tough Sunday out for Brian Matusz. Yesterday, the Orioles got spanked by the Detroit Tigers, 10-6, and once again, all eyes were on the young southpaw. At that point, the Orioles had nothing to lose with only four games left in the season. So if you are Buck Showalter, why not put the young southpaw out there? In the end, the results were not good. He lasted five innings and gave up six runs on Sunday. Well, perhaps it was not as bad as some of his other outings this summer; nevertheless, it was not good, either. When it all comes down it, I don’t know what to say about the young man, but he has to figure it out on the mound. I know some fans want him traded; however, he’s a key part of the future – still – with the Baltimore Orioles. It's obvious there is a problem with Matusz. He says that there's no injury issue; however, is there one? There might be a mechanical problem -- or it might in his head; alas, he needs to be either shut down or placed in the bullpen. The kid needs to get himself together and gain some confidence. At this point, Matusz really needs to work hard to get himself in better shape and prepared for the rigors of a major league season. The Orioles still are at this season, and they are not folding at all. They’ve continued their nice end-of-the season run as Matt Angle’s first homer in the majors and an RBI-bunt squeeze (in the ninth) led them to their ninth victory in twelve games. As well, the Orioles jumped all over Justin Verlander, preventing him from winning his 25th game of the season. They got him for five runs over seven innings and had a 5-1 lead after three innings. The Tigers kept chipping away at the Oriole lead, costing Jeremy Guthrie a win; however, the bullpen managed to hold on and win, plus Kevin Gregg got his 22nd save. It’s been fun again watching the Orioles in the past two weeks; however, I have no illusions of this nice run meaning much for 2012. While they have gotten a lot of help from call-ups, timely hitting and much better player from everyone, there’s a lot that this organization needs to improve from. Really, the Orioles are just playing through a really nice stretch beating contenders who may be simply running on fumes or banged up. Finally, you’ve got see this piece from ESPN on Brian Roberts. It’s fairly evident that the Orioles are not packing it in with a week now to go in the regular season. Right now, they are making the lives of the Red Sox miserable and adding some intrigue to the wild card race. As it is, the Red Sox right now are not the same team that they were from May to August, and now injuries, guys breaking down and suspect pitching may do them in. Baltimore emerged victorious over Boston, 7-5, thanks to Robert Andino’s three-run double in the eighth inning and Jim Johnson’s seventh save in the ninth. You’ve got to be impressed with the role Robert Andino has played this season, despite being pegged as a utility guy. However, with the injury to Brian Roberts, Andino has filled in quite nicely and has made most of his chance to play every day. I’m not sure what his role on the team will be next year, but there has to be a spot for him on the roster. They had to grind out their 64th win of the season by making Red Sox starter and former Oriole pitcher Erik Bedard work. In addition, they did an excellent job at chipping away at Boston’s bullpen – most notably, fireballer Daniel Bard, who has been struggling in the 8th inning role. Meanwhile, the Orioles got themselves in a hole early as Rick VandenHurk struggled again, but Jo-Jo Reyes pitched three scoreless innings in a relief role, and the rest of the bullpen followed thereafter. At this point, you have to wonder if Jim Johnson will be closing games from here on out in 2011. The obvious answer based on his use as of late -- is yes. It was not a good day for the Orioles as they got smashed by the Los Angeles Angels of Anaheim, 11-2. The Orioles – who saw their 4-game win streak snapped – they could not do much against Jered Weaver who won his 18th game and the Angels’ offense, led by Erick Aybar (of all players). Aybar had two home runs and five runs scored in the rout of Baltimore. The Orioles could not diminish the Angels’ playoff hopes any further as Alfredo Simon was again ineffective on Sunday, going five innings and giving up six runs. Right now, I just see a pitcher on the mound who is woefully inconsistent. The Orioles would not have won anyway on Sunday; however, the most successful pitchers in the sport (even those less than gifted) are the ones who can go out and perform will each and every time out. Simon has not done that yet. Granted, he has had a lot of personal stuff happen to him this year and is still facing some potential fallout with a criminal case in his home country. Then again, he has been pitching for most of the summer with the Baltimore, and it has just been a see-saw ride. It is just frustrating to watch Simon at times, as he obviously has the tools, but can not put it all together in consecutive starts. After his last start, where he was brilliant – he struggled. I mused last week that I’m not sure if Simon is a long guy at the moment, a starter, or a just another arm in the bullpen. The Orioles are quite on a roll, and for the second night in a row, they defeated the Los Angeles Angels of Anaheim, 6-2. Well, in light of the win, it was all kinds of a crazy at the Yard last night. Baltimore plated five runs in the opening inning, as J.J. Hardy and Mark Reynolds homered; however, Anaheim starter Ervin Santana – whether or not you thought he was hitting someone (that’s subject to interpretation) – hit Nolan Reimold in the back after Reynolds’ homer. That being said, things calmed down for a bit – until the third inning. Santana once again would use the beanball, this time at Reynolds – who had homered in his previous at bat. Reynolds would be hit in the head and luckily his helmet saved him. Obviously, he was not very happy about the situation and walked to first. However, he would be pulled out of the game in the fourth inning. That leads me to think, why was Santana not thrown out – much more, even warned? I am not going to say that he intentionally wanted to hurt someone; however, his actions on the mound were nothing short of questionable. If Santana did intend to exact revenge with a beanball, it was awfully stupid to do and was unbecoming of a professional. Seriously, if Santana wanted to get angry – he should have been pissed at himself for giving up those home runs in the opening inning to put his team behind. It was good to see the Orioles get a resounding win over the Los Angeles Angels of Anaheim, 8-3 on Friday night. They mainly used the longball – home runs by Nolan Reimold and Mark Reynolds – to knock around pitcher Dan Haren and the Anaheim bullpen. Tommy Hunter, who started for Baltimore last night on the mound, perhaps put together his best start as a member of the Orioles by going seven shutout innings for his fourth win of the season. Naturally, reliever Kevin Gregg made things interesting as he gave up three runs in the ninth inning; however, overall, it’s a good thing to see the Orioles finishing strong, winning their third in a row. Then again, it was amazing to see Gregg just not have it on Friday night. It was a painful frame to witness as he could not get an Angels’ lineup full of farmhands out and the Baltimore faithful let him have it for sure. The Tampa Bay Rays have been on a run, to say in the least. Over the past month or so, they’ve put a big scare into Red Sox Nation and suddenly made the pennant chase in the American League East interesting. However, the Orioles made life difficult for the Rays last night as Matt Wieters hit a two-run homer – that was an absolute bomb – in the eighth inning to help them defeat the Rays, 4-2. That being said, does everyone think Matt Wieters is still a bust -- or not? 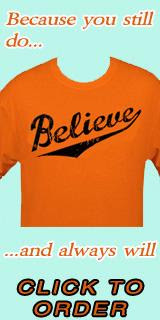 Yes, he's not become the savior for the Orioles and has not seen his minor league numbers translate to the big leagues. Then again, can anyone not discount that he's becoming a complete player? Wieters has been able to hit with some power, play amazing defense and become a leader on the Orioles. David Price pitched fairly well for the Rays, going into the seventh inning; however, Alfredo Simon for the Orioles – who had gotten beat up in his last several starts – had a strong outing on the mound, striking out nine. He didn’t get the win, but against the Rays, he looked like a top of the rotation guy. Yes, he gave up a long homer to Evan Longoria – no shame in that – but, he was amazingly effective. 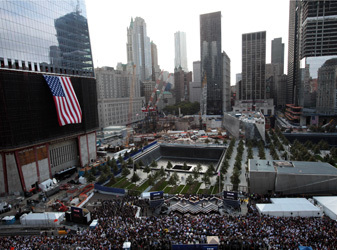 Today is 10th Anniversary of the September 11th attacks - of a day none of us will ever forget. The images of that day are ones that we will never, ever forget. This Sunday, whatever you're doing, let's remember those who perished, survived and those that have put their lives on the line to keep us all safe. After a solid week where the Orioles defeated the Yankees twice and opened up their series with the Blue Jays with a win, things once again got crazy on Saturday. Kevin Gregg – the Oriole closer who has been a source of consternation among fans this season – blew yet another game as the Jays won, 5-4. The closer was not good – again – and yet another team took advantage. Once again, he was brought on to close out the game in the ninth inning, and he could not. Baltimore held a 4-3 lead going into the final frame, but Gregg allowed two runs to score. That would snap the Orioles’ three-game win streak. Rick VandenHurk only lasted 2 1/3 innings, but the Orioles fought through thanks to Kyle Hudson, Chris Davis and Vladimir Guerrero – who has been a lot better at the plate. Despite the loss, it’s good to see the Orioles not folding and playing a tad better as of late. Jeremy Guthrie looked good on Friday despite having perhaps the worst record of any pitcher in all of baseball, and the games on Wednesday and Thursday showed the grit of the Orioles. Yesterday in the Bronx, Brian Matusz got shelled real bad as the New York Yankees defeated the Orioles in an ugly slugfest, 11-10. Of course, the story of the game was Brian Matusz and his complete inability to get guys out at the plate. The Orioles hit several longballs and kept things interesting, but you could not avert your eyes from the hurlers who stepped on the mound yesterday. The Yankees torched Oriole pitching (save for Willie Eyre and Troy Patton) -- especially rookie Jesus Montero, who hit his first two major league homers off reliever/soon-to-be-starter Jim Johnson. But all eyes were on Brian Matusz in Birdland. He had done fairly well in the Bronx in the past; sadly, Matusz was serving up batting practice and just could not get anyone out. Watching it on TV is one thing; however, seeing him live as I did -- in enemy territory -- made for a crazy day. I don’t know what to say about the young man, but he has to figure it out on the mound. He’s a key part of the future – still – with the Baltimore Orioles. However, at this point, he should not be starting -- that is, unless Buck Showalter wants to be a masochist. It's obvious there is a problem with Matusz. He says that there's no injury issue; however, is there one? I have no idea why the University of Maryland felt the need to change their football uniforms so drastically. My Lord. I get the idea of what the university wanted to do; however, when it comes to uniforms, they should be simple, classy and elegant. Always. No multi-colored, creative crap, just clean and never made to be the subject of ridicule. What I saw on the field last night in terms of the university's fashion sense was a complete abomination. Sorry, I love my home state, my alma mater and everything Maryland, but those jerseys should be burned and never worn again. As we head into the month of September, the Orioles are once again trying to avoid this infamous number: 100. That would be 100 losses, and on Thursday, they didn’t get any closer to that goal. The Blue Jays would wind up taking two out of three games yesterday, as they won 8-6. Also, the Orioles have now clinched their 14th straight losing season with their record now at 54-81. Only 27 more games to go. Much of the attention of sports fans in the region has turned to this weekend’s race in downtown Baltimore and also on the NFL; however, the Orioles do have some things to still play for. Mainly, let’s see if the team can finish the season with some momentum - mainly winning. As we know, that plays little into how a team will do in an upcoming season (case study: 2010), but would help to lift the esteem of fans – who have been suffering - and also the players. Plus, I would like to see how some of the young players promoted from the minors do in the month of September. Maybe one, two, or more will use their ‘cup of coffee’ in the majors to leave an impression on the front office and fight for a spot next year. At least let’s see if Adam Jones, Matt Wieters and Nick Markakis can finish the season strong. Can Brian Matusz find himself again? Will Jim Johnson start? Can Nolan Reimold hack it as an everyday major leaguer? Does Mark Reynolds reach the 40-homer plateau? How will the recent trades work out this month – and in the future?